Tallinn - The Baltic state of Estonia may need to make deeper-than-planned cuts to its public spending if it is to qualify for euro adoption in 2011, a representative of the International Monetary Fund (IMF) said Monday. Speaking at the conclusion of a two-week long mission to the country, the IMF's Christoph Rosenberg said the Washington-based organization's projections for the Estonian economy were "somewhat more cautious" than those of the Estonian central bank and finance ministry. Tallinn - Estonia remains on course to replace its national currency, the kroon, with the euro in 2011 but may need to loosen its banking regulations before doing so, the Estonian central bank said Wednesday. In an official economic policy statement covering 2009-11, Eesti Pank said, "It is possible for Estonia to meet all the Maastricht criteria and to adopt the euro in 2011." Tallinn - Consumer prices in Baltic state and European Union member Estonia dipped for a fifth straight month in September, according to figures released Monday. "The consumer price index decreased 1.6 per cent in September 2009 compared to September of the previous year and 0.2 per cent compared to August 2009," said the Estonian national statistics office. In August inflation stood at minus 0.9 per cent. The biggest price reductions came in the areas of food (minus 6.6 per cent) and transport (minus 5.5 per cent). Tallinn - The Italian embassy in the Estonian capital, Tallinn has filed a complaint with the Estonian Foreign Ministry over the sale of meat dumplings bearing the "Mafia" moniker, the Baltic News Service reported Thursday. The embassy contacted the Estonian Foreign Ministry after it became aware that food company Alissa Pluss was marketing "Mafia Pelmeni," with packaging featuring a map of Sicily and a gun. Pelmeni are traditional Russian dumplings that are a popular food throughout Eastern Europe. Valeri Platonov, a board member of Alissa Pluss, told Estonian television channel ETV: "It makes you smile. It is a marketing trick - the idea of the package is to be funny." Tallinn - Estonia's minority coalition government agreed Thursday to endorse Siim Kallas as the small Baltic republic's representative with the European Commission in Brussels. The two ruling parties managed to resolve earlier differences over the nomination, leaving the incumbent EU commissioner for administration, auditing and anti-fraud with a clear run to serve a second five-year term. Kallas was appointed in 2004, but his term expires at the end of October. Tallinn - Consumer prices in Estonia dipped by nearly 1 per cent in August compared to the same year-ago period, with the biggest reductions in food and transport, according to data released Monday. 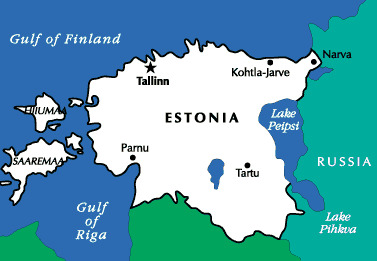 Statistics Estonia said the consumer price index fell by 0.9 per cent in August 2009 versus August 2010. The index was unchanged compared to July 2009. Martin Lindpere, an economist with the Estonian central bank, said the fall had been slightly bigger than expected. Amman - The Jordanian government is involved in the final stage of negotiations with an Estonian firm on a multi-billion-dollar project envisaging the production of 35,000 barrels of crude per day from oil shale, an official said Sunday. The Natural Resources Authority is finalizing an agreement with Eesti Energia under which the Estonian firm is expected to invest an estimated 7 billion dollars in the sector, NRA director Maher Hijazeen said. "We are looking to sign the agreement within the next few months," he added. Tallinn - As Estonia's Finance Ministry released a fresh forecast Thursday predicting an economic contraction in 2009 of 14.5 per cent - much more than previously expected - the prime minister remained upbeat and underlined the importance of adopting the euro. The Finance Ministry's summer forecast is substantially worse than the spring forecast of an 8.5-per-cent contraction for the year. In a press statement accompanying the forecast, Finance Minister Jurgen Ligi said there was cause for optimism despite the figure. Tallinn - Officials at the Estonian central bank, Eesti Pank, said Wednesday that the country could meet the Maastricht criteria for euro adoption by the end of the year, but needs to work harder on reducing its budget deficit. "When the spring forecast of Eesti Pank was being prepared, changes in the tax policy were not yet under consideration, thus we concluded the consumer basket would cheapen by 0.2 per cent as an annual average." 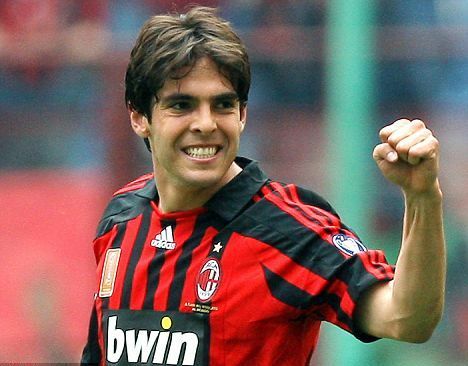 Tallinn - Brazilian football star Kaka may be able to deliver a perfect 30-yard pass, but his sense of direction deserted him in the Estonian capital, Tallinn, Tuesday. The 27-year-old playmaker went for a morning stroll around the historic city on the Baltic Sea coast but soon found himself confused by the cobbled streets and winding lanes of the medieval Old Town, police said. Tallinn - Estonians took cold comfort Wednesday from the fact that a reported 16.6-per-cent year-on-year drop in gross domestic product (GDP) means that the country's economy probably cannot contract any further. The data, which compared economic performance in the second quarter of 2009 with the same period in 2008 comes after the country's economy registered a 15.1-per- cent contraction in the first quarter. Tallinn - Prices in the recession-hit Baltic state of Estonia fell for the third month in a row, according to data released by the national statistics office on Friday. Statistics Estonia said the consumer price index (CPI) decreased 0.7 per cent in July 2009 compared to July 2008 but increased 0.9 per cent compared to June 2009. Food products were 0.4 per cent and manufactured goods 4.5 per cent cheaper than last year as weak local demand forced retailers to cut costs. Tallinn - Estonian president Toomas Hendrik Ilves and his US counterpart Barack Obama discussed the need for a "serious and substantive dialogue with Russia," during a meeting in Washington, according to a statement released Tuesday by Ilves' office. Ilves met with US President Barack Obama and the US president's National Security Adviser James Jones in Washington on Monday, spokespeople for the Estonian president said. Tallinn - The government of Estonia paid tribute Monday to one of the Baltic state's soldiers killed in Afghanistan. Master Sergeant Allain Tikko of the Estcoy-8 infantry company was reported killed in action earlier in the day in southern Afghanistan's Helmand province. Three more soldiers were wounded in the grenade blast that killed Tikko, but none of their injuries are life-threatening. 30-year-old Tikko had previously served in both Kosovo and Iraq after joining the army in 1998. Tallinn - Inflation in the recession-hit Baltic state of Estonia effectively disappeared in May, latest figures reveal. According to Statistics Estonia, the consumer price index fell by 0.3 per cent in May 2009 compared to May 2008 and was zero compared to April 2009. "The decrease of the consumer price index compared to the same month of the previous year was fixed for the first time in Estonia," Statistics Estonia said. Price rises on items such as alcoholic drinks and tobacco, largely as a result of increased tax duty, were offset by decreases in fuel costs. Tallinn - Estonian Prime Minister Andrus Ansip named new members of his cabinet Wednesday as he seeks to shore up his minority government. Ansip appointed Jurgen Ligi from his own Reform party as the new Finance Minister, while the Interior Ministry portfolio will be taken by Marko Pomerants from coalition partners the Pro Patria/Res Publica Union. Tallinn - The Baltic state of Estonia was facing an uncertain political future Tuesday after talks aimed at forming a new coalition government broke down without agreement Monday night. 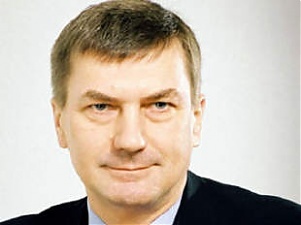 Prime Minister Andrus Ansip's had attempted to woo an opposition party into government but failed. Voters frustrated with weeks of political bickering are likely to show their anger at the polls during this week's European parliamentary elections. Tallinn - A 29-year-old Estonian man was being kept isolated in a Tallinn hospital Saturday after becoming the first confirmed case of swine flu in the Baltic states. On Friday evening tests on a second sample taken from the man confirmed that his flu-like symptoms were a caused by the A(H1N1) virus, more commonly known as swine flu. The patient returned to Estonia on May 27 after visiting the United States and felt ill soon afterwards. A first sample taken on Friday morning tested positive for swine flu, and the result was confirmed by a second sample. Tallinn - The form of a new government coalition in Estonia was emerging Friday - as new figures suggested the country will experience an even deeper recession than previously expected. Data released by the national statistics office Friday showed retail sales down by 15 per cent year-on-year in April, while industrial output plunged 34 per cent during the same period. However, incumbent Prime Minister Andrus Ansip looks set to stay in power despite the collapse of his coalition government a week ago.